The device is easy to use and portable. 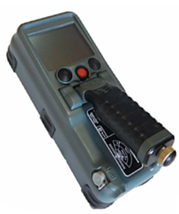 The GPR Detector can locate moving people that are behind concrete walls that have been reinforced, as well as other types of building construction. It does this in real time. It can identify and define objects through a number of walls. Find mine explosives (no case, non metal cases versions). It works quickly and easily, making it possible to locate people in even through reinforced concrete walls. It can do this in real time. The operator will receive visual and audio cues with the device. The device is a powerful through wall detector. The solution is aimed to detect people beyond walls. The device quickly locates the target, measures the distance to target and user can see if the target is moving. The operation is fully automatic. In addition, the device has the capability to detect breathing. This helps to make it an invaluable tool for S&R operations, such as after an earthquake or similar natural disaster. Thanks to the small size and easy portability of the device, it is easy to use in many different situations. The solution is an under door camera designed to work in complete no light environments. A black & white camera is built into a 5,6 mm insertion tool plate having 28 LEDs. The insertion tool features an in-built battery. The LEDs are 940 nm wavelength which makes them totally unseen by human eyes. The camera has a wide angle lens offering the superior coverage in a room. Unlike other under door solutions the unit is USB type, which can be easily complemented by any tablet PC or even a smart phone*. The low noise drilling system is small and provides, as the name suggests, a relatively low amount of noise. This device has a range of new and impressive features. It has a quality battery pack that is rechargeable, control panel, remote hand control attached to a corrugated cable, and a powerful motor and gearbox. 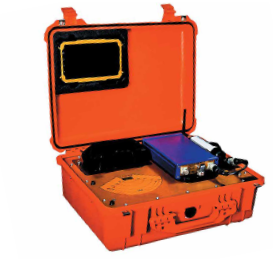 The solution is a surveillance kit consisting of three fiber scopes. These are generally used in low-noise drilling ops. Within the kit, the user will find two 1mm fiberscopes both 60 cm length, one 0° front view and one 65° side view. All fiberscopes are designed for pinhole installation. In addition, there is a 6mm non-conductive 60 cm fiberscope. The last one is often used for checking the progress of the drilling. 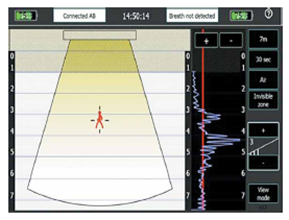 Visual observation of the images is possible, or the user can utilize a tablet PC with the endoscope camera. 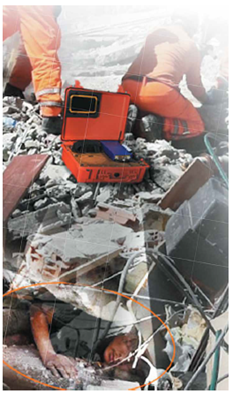 The unit is a portable solution capable of detecting movements and breathings of people buried beneath wreckage after earthquakes, terror attack (bomb blast), etc. 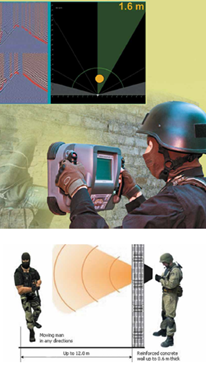 The unit operates on the basis of GPR technology. The unit makes it possible to accurately determine locations of survived people and measure the accurate distance to the body. This is an ideal tool for rescue teams to be used after earthquakes, natural disasters or terrorist acts. 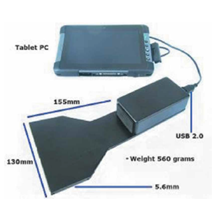 The device is complemented by a Tablet PC with visualization of distance to target. The movements are shown with red lines and breathings with blue lines.